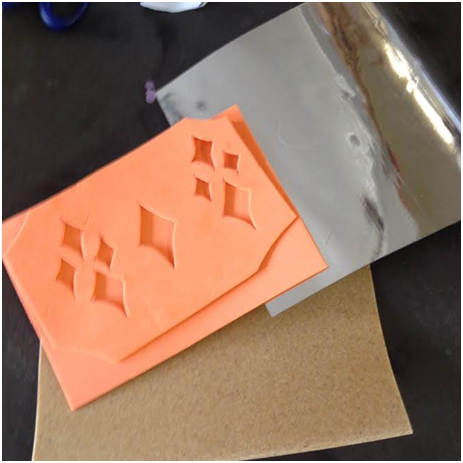 Aurora Hail Frost Cosplay did this great breakdown of using worbla with foam and spraypaint for different finishes. 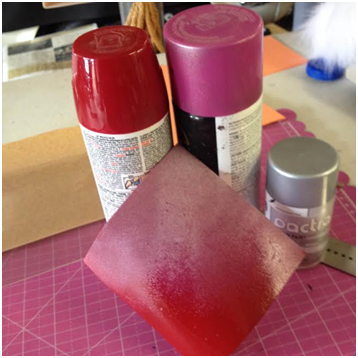 First technique: I painted on top of the foam using 3 types of different colors and then used the TranspArt as a clear coat over foam. 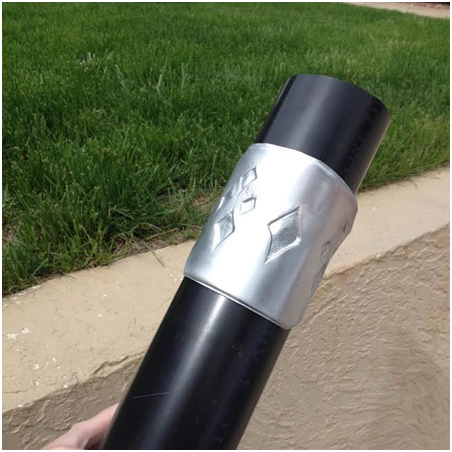 What I did – I painted the foam with spray paint only. Then sandwiched the foam between the Worbla’s Finest Art and the TranspArt together heated it up with a heat gun. 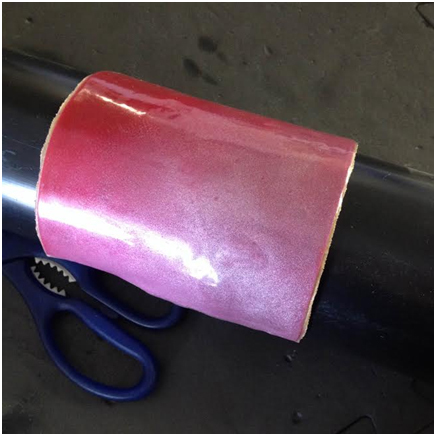 Pros- The technique gave me exactly what I wanted a clear coat over my paint, the heat gun did not burn the paint that was on the foam. Was able to form the worbla without any defects. Cons- have not seen anything that would cause a negative effect. 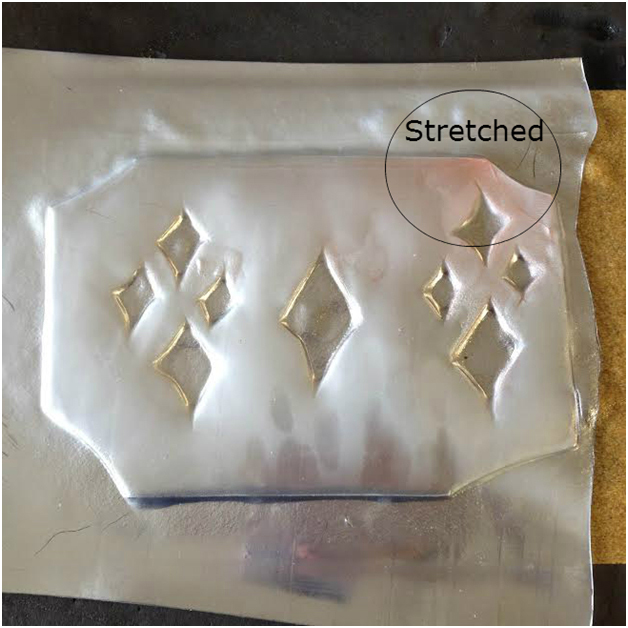 Second Technique: Designs and Chrome paint on Worbla’s TranspArt. What I did- Painted the TranspArt to have a chrome mirror affect, then cut out designs in the foam . I sandwiched the foam between the TranspArt chrome sheet and Worbla’s Finest Art. 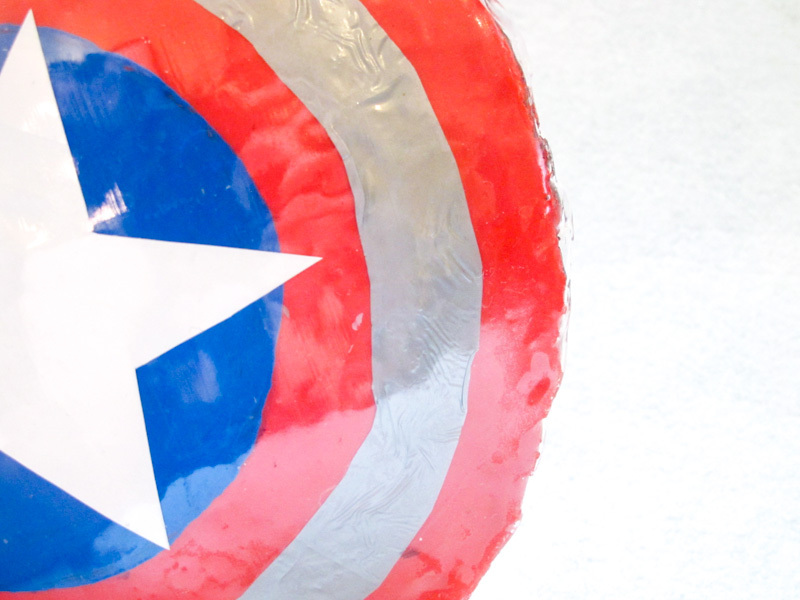 Pros – once I heated the foam and the worbla sheets together, it stayed its mirror like affect. Perfect for a knight in shining armor look. Worked well with the designs. Was able to form without any defects. Cons – However I wanted to try to stretch one of the corners of the piece to see how it would react. When I stretched one of the corners the paint particles started separating out making it more see through again (Seen in picture Number 2 above) this affect caused it to have a less mirror affect and more see through, I guess it all depends on what kind of effect you want would make it work out. However besides the top right corner having a defect. The rest of the area kept its mirror affect even after being formed. Seen in Picture #3 above. 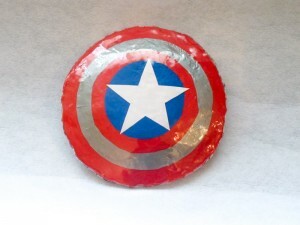 Elemental also used TranspArt for a protective coat over a mini Captain America Shield. 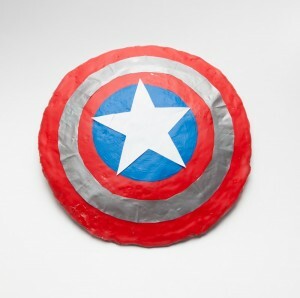 I created this shield by using Wonderflex, heated and pressed into a curved lampshade. 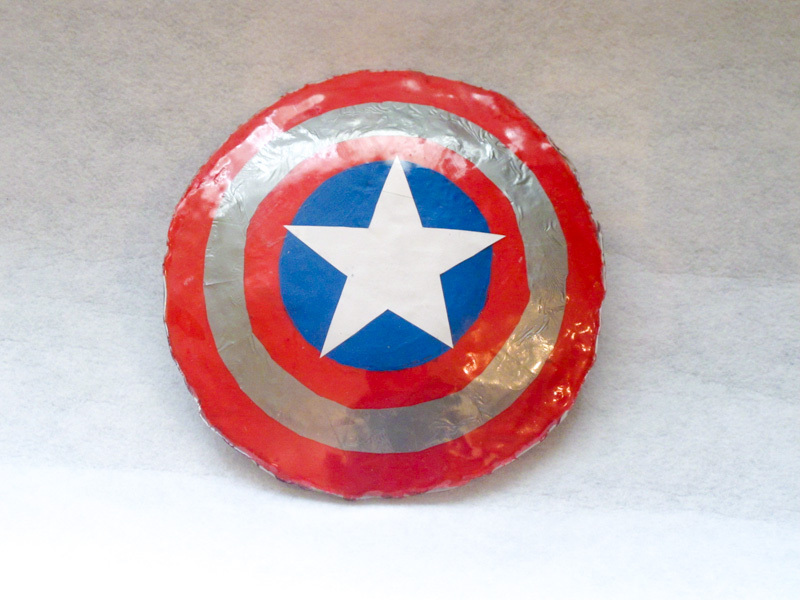 I coated it with woodglue to help smooth the top out, painted it, then created the silver ring out of thin silver vinyl and the star is a paper cutout. 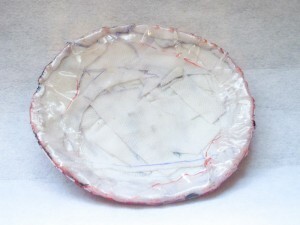 The TranspArt was heated and stretched carefully over everything once it was dry, and it makes a great, perfectly smooth glossy finish that means my paint can’t be chipped no matter how many times I throw this ‘frisbee’. 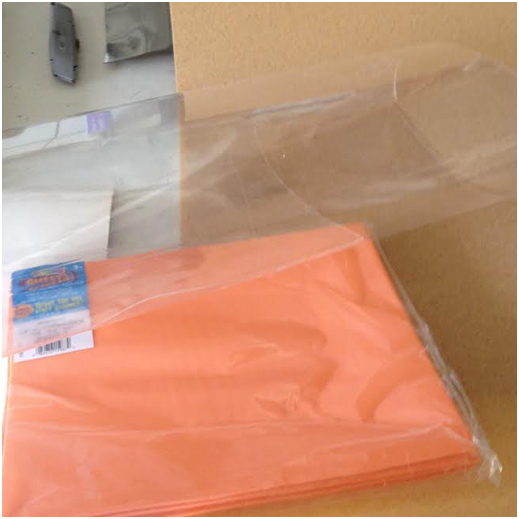 If you’re looking to make perfectly smooth armor and want a way to keep your paint from chipping, seriously consider TranspArt layered with Worbla’s Finest art as an option!